To help guide you through the experience of working with Reliance Aerotech Services, we answered many of the common questions we’ve heard over the past two decades. How much is this service going to cost? 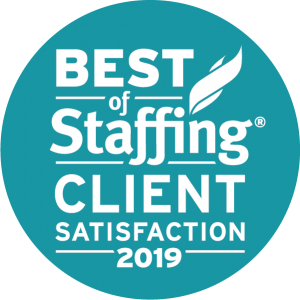 The cost of our staffing services are dependent on several factors including the experience and qualifications of the personnel needed, the length of the project, geographic location, the availability of inexpensive lodging and travel costs. We are very sensitive to the need to keep costs affordable. Please contact us to discuss pricing for your specific need. Don’t all Staffing Firms recruit from the same talent pool? While all staffing firms do use some of the same sources, at Reliance Aerotech Services we have additional proprietary sources and methods. However even when candidates are acquired from the same source the screening process and experience of the screeners make a major difference in the quality of the final candidate pool. We pride ourselves on the fact that our recruiters all come from the aviation industry and know how to screen on a much higher level than the many “body shop” operators who flood customers with inappropriate candidate resumes just to see what might stick. When you choose Reliance as your provider you will find that nearly all of our resume submissions are appropriately on-target. Do your mechanics have their own tools? Yes. This is a policy of Reliance that all technicians and mechanics have appropriate tooling. Our tool control program also requires tools to be etched and shadowboxed and includes a written inventory. We have a standard required tool list for each skill area or you are welcome to provide us with one of yours when you order personnel from us. Can I hire a contractor as a direct employee? In most cases our contracts allow for customers to hire assigned Reliance employees as their own direct employees after a predetermined period of time has passed or after paying a fee. Some customers engage us to find talent specifically intended to be utilized initially as contract employees with intent to eventually hire them as direct employees. We call this a “Contract to Direct” staffing mission and it is a great way of growing your workforce as it provides both employees and customers an opportunity to evaluate one another before undertaking a long-term employee-employer relationship. Please contact us for more information on our “Contract to Direct” sourcing model. Where do you find your talent? We have numerous sources for locating hard to find talent. We advertise positions right here on this website, and like many staffing firms, on well known third party job boards. However, we have our own proprietary database of thousands of qualified aviation workers developed over the last two decades, and we operate customized recruiting campaigns that include varied media resources as required. Our initial screening process includes an assessment of how well a person’s experience, education, and qualifications match up with the job requirements provided by our customers. After we determine the candidate’s qualifications, interests and commitment to the assignment or position we submit resumes for customer review. Once the customer hiring manager accepts a candidate we perform background checks to ensure the candidate is morally qualified. What background checks does Reliance Aerotech Services perform with your employees? Reliance performs Safety Sensitive Functions as described in 49 CFR Part 40 and 14 CFR Part 120. The employee submits and passes a pre-employment drug testing requirement as directed by the FAA under our approved anti-drug and alcohol program. The employee will remain a participant in a FAA approved random drug and alcohol testing pool for the duration of employment with Reliance. Participants in this pool are subject to random, post-accident and reasonable suspicion drug and/or alcohol testing as required. A 10 year background check will be conducted: OFAC Database Search, Federal Crime Search, State Felony Search and County Felony Search. Background checks will be screened for disqualifying criminal offenses as outlined in 49 CFR Part 1542.209(d). All Reliance Aerotech Services employees are subject to E-Verify, the on-line I-9 employment verification database administrated by the SSA and Department of Homeland Security. Documentation of testing and background checks is held at our headquarters in Smyrna, TN. How long does it take to see resumes? Reliance starts working with the client immediately to find the talent needed. Usually we will have solid candidate resumes to your hiring team for review within a few days of receiving the order. In cases where we are sourcing hard to find talent and/or direct hire candidates it can take a little longer. When can I expect a Reliance Aerotech Services employee to start? Once a customer has approved/selected the candidate, Reliance will make the offer for commitment, and start the necessary background screening process. We will notify the customer that the screening process has been completed and the Reliance employee is ready to start. The mobilization schedule is dependent on many things but because of the drug testing requirements it is not generally possible to mobilize a new temp employee sooner than 5 workdays from Customer approval. Does Reliance Aerotech Services offer medical insurance? Yes. Reliance offers major medical insurance that meets the requirements of the Affordable Care Act to all employees. Does Reliance Aerotech Services pay required employer taxes, workers compensation, etc.? Yes. Reliance pays all payroll taxes, worker compensation insurance, and unemployment. We also carry Hangar Keepers Insurance and Aviation Products Liability coverage. No, our standard agreement is non-exclusive. Can you provide me with some past performance examples and customer references? Yes, we will be pleased to provide you with both. Please contact us to get a list a past performance examples and references pertaining to customers we previously supported having similar needs as your own. To learn more about how Reliance Aerotech Services can deliver a customized solution for your company, please call us toll-free at 1-866-622-5086 and select option 1, email us at services@reliance.aero or use our online RFQ form.